Designed to comply with the U.S. State Department's mandate on clothing for contractors working abroad. Loop attachment patches on the front, top and back to allow easy and secure placement of a flag, name badge, and glint tape. 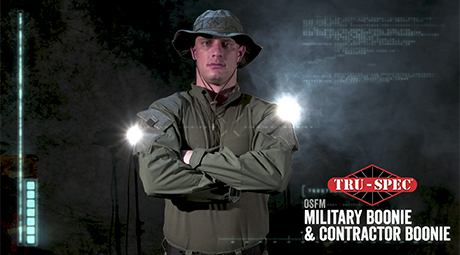 Our One-Size-Fits-Most Contractor Boonies are built to U.S. Military specifications and include an adjustable sizing strap that allows a custom fit and include loop patches on the front, top and back!